Latest Honda Civic Type R hot hatch evolves, to become even more engaging. If there is one thing that the previous Honda Civic Type R drew criticism for, it was the overly firm ride. On a track or a freshly surfaced road, it was good, but anything else just exposed it as being too hard to live with comfortably on a daily basis. Thankfully, Honda listened. An additional improvement for this new Civic Type R is its looks. While exterior aesthetics are subjective, the new Honda Civic's overall shape seems better suited to the Type R treatment, even if that rear wing polarises opinion. 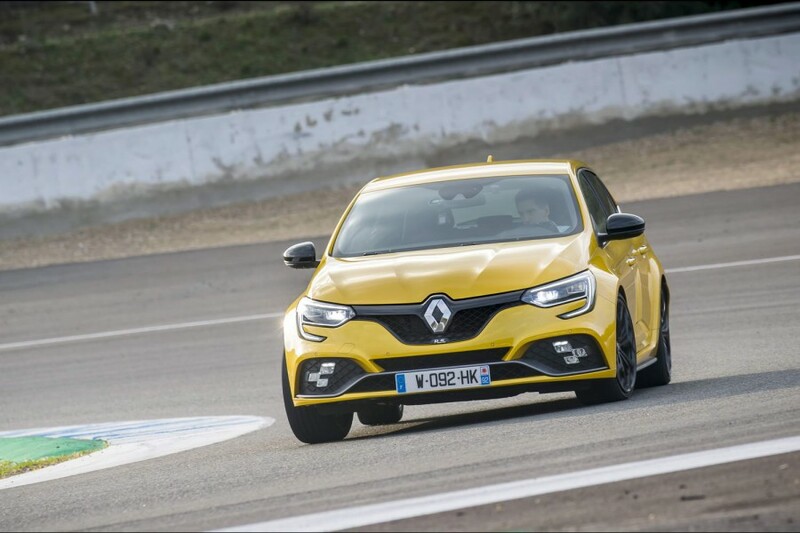 In colours other than that of our black test car, the darker grille and intakes add to the more aggressive styling of the low nose. The vents and bonnet scoop add to the aggressive look, as do the extended carbon fibre-look sills (part of the GT pack) and, of course, the unapologetic rear wing. Thankfully, that's almost unseen in the rear-view mirror when driving. That said, the lower section of the bisected rear window, below the third brake light, does tend to attract a lot of road grime thrown up on it. The result of which can restrict visibility if you don't keep on top of your cleaning duties, as it is out of range of the washer or wiper. Practicalities aside, the real reason you're going to consider a Type R is the driving experience, and here Honda doesn't disappoint. Firstly, there is the return to a multi-link setup for the rear suspension from the torsion beam of its predecessor. A wider track, combined with a lower centre of gravity, is equally welcome, but one additional feature stands out even more - the Comfort button. Yes, a quick press of that unwinds enough softness in the suspension to make the Civic Type R a viable daily driver, should you so wish. From the driver's seat, the ergonomics are bang on, with a driving position that places you in an optimum location for the gear lever and wheel. The pedals have just the right amount of spacing also. On cold mornings the metallic ball on top of the gear selector can feel icy, and that sharpness in temperature matches the precise action of the shifter. Honda's reputation for producing superb manual transmissions is well known, and in this instance it is near-perfect. The turbocharged four-cylinder petrol engine pulls very well. Even as you wind it up towards the 7,000rpm redline, the performance keeps coming. Traction under heavy acceleration is only an issue on damp surfaces and even then only when the turbo spools up in lower gears. The front-end never seems to struggle, giving you plenty of confidence on turn-in. It is possible to unsettle the rear end, but you will need to do work at it, as it is well planted. Power delivery is smooth and arrives with as much urgency as your right foot commands. Some may consider the rev-match function for the manual a bit of a novelty, but within the first few downshifts you immediately appreciate it, helping you relish every gear change. Engineers working for other car makers need to drive this to appreciate how good a manual gearbox should feel. While we are fans of the Comfort mode, to fully exploit the Honda's performance requires selecting its +R mode. The variable ratio steering weights up, as do the adaptive dampers, while the throttle develops a sharper edge to it. The flash of red in the dials adds to the theatre of it all, too. We would be grateful if Honda were able to pump some more of the addictive induction noise into the cabin, but the Type R leaves you wanting for little more. In a world increasingly filled with automatic and all-wheel-drive transmissions, the Type R feels refreshingly engaging. 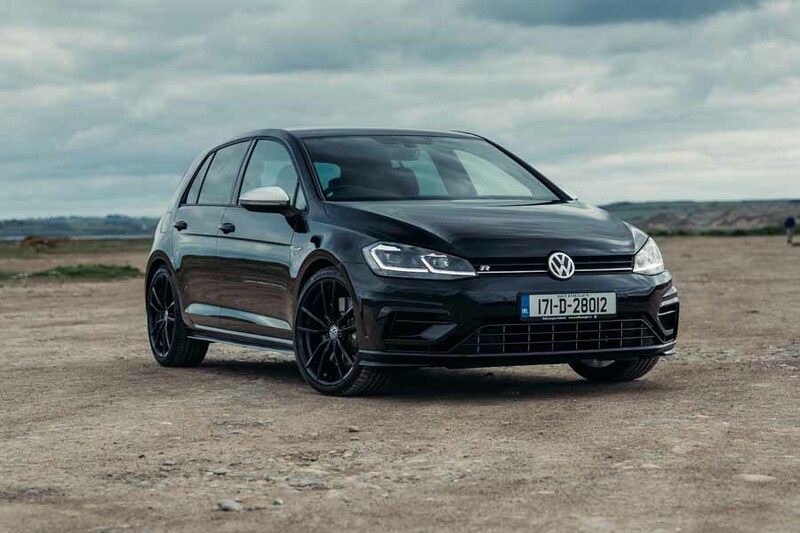 The addition of some (slight) comforts make it more usable, if not entirely the everyday car that the Volkswagen Golf R is. Its looks may be more in-your-face even than the wild Ford Focus RS, but as hot hatch driving experiences go the Honda is hard to top. 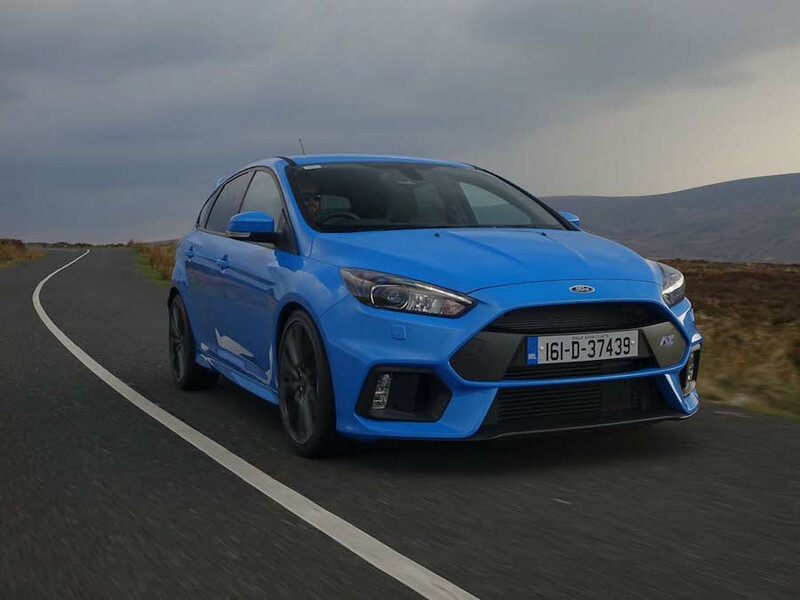 Ford Focus RS vs. Honda Civic Type R: best of the all-wheel-drive hot hatches, but isn't as sharp as the Type R.
Renault Megane RS vs. Honda Civic Type R: focuses more on chassis and driving experience, but lacks the horsepower. Volkswagen Golf R vs. Honda Civic Type R: marginally less power, but is cheaper to buy and mixes all-wheel drive with a discreet look.